Anti-Social Behaviour should be reported to the Police on 101. It can also be reported to your local District or Borough Council. 01926 456010 (Warwick District Council Community Safety). 01789 260123 (Stratford District Council Community Safety Team). 0800 096 8800 (Rugby Borough Council Community Safety Wardens). 01827 715341 (North Warwickshire Borough Council Contact Centre). 02476 376322 (Nuneaton & Bedworth Borough Council Community Safety Team). 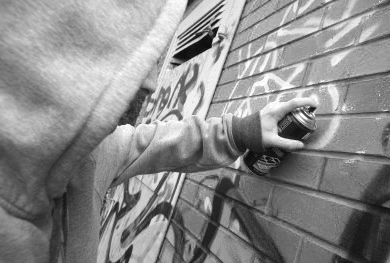 Anti-social behaviour is a broad term used to describe the day-to-day incidents of crime, nuisance and disorder that make many people’s lives a misery - from litter and vandalism, to public drunkenness or aggressive dogs, to noisy or abusive neighbours. ‘conduct that has caused, or is likely to cause, harassment, alarm or distress to any person’ or ‘conduct capable of causing nuisance or annoyance to a person in relation to that person’s occupation or residential premises’ or ‘conduct capable of causing housing-related nuisance or annoyance to any person’. Behaviour by an individual or group that results in: ‘another party feeling personally threatened or creates a public nuisance or has a detrimental impact upon the environment or has a detrimental effect upon the quality of life of an individual or the community as a whole’. Nuisance behaviour – general rowdy behaviour and nuisance, prostitution, aggressive begging, street drinking, animal nuisance, motorbikes/vehicles being used in an anti-social manner. Noise nuisance – loud music, playing ball games near to people’s houses. Intimidation or harassment – Malicious phone calls, offensive material through letter boxes. Environmental quality issues – Litter, dog fouling, fly tipping, abandoned vehicles, dumped rubbish. Aggressive and threatening language and behaviour – Verbal and physical abuse including threatening and offensive gestures. Violence against people and property – ASB-based vandalism, violence, arson, criminal damage. Hate behaviour – ASB based on targeting individuals because of their perceived differences. This includes race, gender, religion, sexual orientation, and disability. Warwickshire agencies are committed to tackling this problem through partnership working. The Community Remedy gives victims a say in the out-of-court punishment of perpetrators for low-level crime and anti-social behaviour. This can also be named ‘community resolution’ giving the victim an option as to the consequences faced by the perpetrator, the Officer dealing with the complaint must ensure that the action detailed by the victim is appropriate and proportionate to the offence committed. The community Trigger gives victims and communities the right to request a review of their case and bring agencies together to take a joined up, problem-solving approach to find a solution. A threshold is set at a local level – in Warwickshire this is set at three separate incidents relating to the same problem in the past six months being reported to either Police, Council or your Landlord and feel that insufficient action has been taken OR At least five people have made reports about the same problem in the past six months to the Council, Police or Landlord and feel that insufficient action has been taken to resolve the matter. To activate a community trigger you must put in writing the details about the problem you have reported and why you believe that insufficient action has been taken. Further details can be found on each of the Borough/District websites.